In all my research on the Courier, I haven’t heard any pilots give it a negative review, other than the time-to-build estimation on Rans’ site being fairly optimistic. In November 1982, the one-seat Rans S-4 Coyote became the first ultralight aircraft designed by Randy Schlitter, the founder of Rans, Inc. Rans began as a “sail trike” company, producing sail trikes and land yachts used by many prolific aviators and land sailors, including Bob Hope. After Schlitter tried hang-gliding, he developed an interest in ultra-light aircraft that evolved into the Rans Aircraft company, responsible for producing some of the most popular kit planes available on the market today. 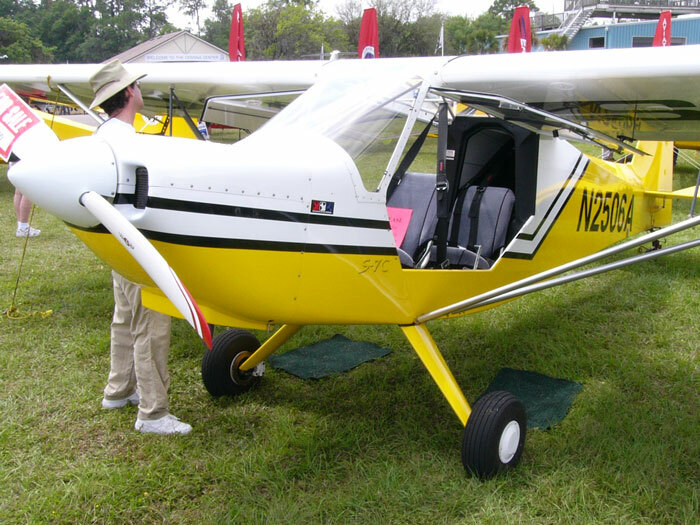 The two-seat high wing S-7 Courier first flew in 1985 and was originally conceived as a trainer for the single-seat S-4 Coyote. Available in a 51% kit (both Quick Build and Standard) as well as pre-built, the Rans S-7 and its variants have become one of the best-selling and best-known aircraft Rans offers. 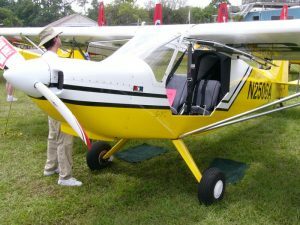 The Courier is a single-engine, conventional landing gear high-wing with two tandem seats, each with stick-and-rudder and throttle controls. Post-build, the Courier can be equipped with floats or skis for backcountry enthusiasts. The cockpit is built from a welded 4130 steel tube, which is very light and strong but reportedly isn’t easily welded. Luckily, neither the Standard nor Quick Build kits require welding. The rear fuselage is a bolted aluminum tube, and the wings and empennage are all covered in dope and fabric. The top-hinged doors are 60 inches wide and can remain open in flight. The Courier is meant to be flown with your right hand, so the throttle lever is on the left sidewall, as well as the other engine controls, including the flap handle, which is on the floor. It has rudder pedals with small, U-shaped toe brakes on top. Including the original S-7, there are four total variants1: the S-7C, the S-7S, and the S-7LS. Rans S-7C Courier at Sun ‘n Fun, photo courtesy of AHunt. A Primary Category, special airworthiness certificate is issued to operate aircraft that have been type certificated in the primary category. Aircraft in this category are of a simple design and intended exclusively for pleasure and personal use. Aircraft certificated in this category must be manufactured under a production certificate. This includes aircraft assembled from a kit under the production certificate holder’s supervision and quality control system. Kit-built aircraft built without the production certificate holder’s supervision are only eligible for certification in the experimental category. For certification reasons, the S-7C had to have an electric fuel pump, which was carried over to the kit version, the S-7S, and the S-7LS. Regardless, the S-7LS (built as a factory-assembled Special Light-Sport Aircraft [SLSA]) did increase the stability around the vertical access by increasing the size of the stabilizer, elevator, fins, and trim tabs, in addition to the extra 18 inches in length added around 2001. The Rans S-7S Courier is an FAA approved 51% kit that you can buy in Standard or Quick Build form, which according to RANS, takes about 500-700 hours or 250-350 hours of labor respectively. The Rans S-7S Courier kit comes with a four cylinder 100hp Rotax ULS, the non-certified variant (according to FAR 33). The engine TBO is 2,000 hours and is just as light as its 80hp predecessor. Marc Cook, an avid pilot and motorcyclist who’s worked for both AOPA, Motorcyclist Magazine, and is currently the Editor in Chief of Kitplanes Magazine, got the chance to fly a 2012 Rans S-7LS Courier for review.2 In addition to Cook, we recently interviewed a 2005 Rans S-7S Courier owner, the retired Chief Scientist for Human Factors at NASA Ames Research Center, Dr. R. Key Dismukes, who happily gave us some insight into the handling and upkeep of an older model. We’re also hoping to get ahold of a couple of mechanics to give us a clear look at the Rans S-7S Courier, under the hood, and we’ll update with any new information as soon as we get it! The slick, modern 2012 LS demonstrator was equipped with all the bells and whistles, including carbon fiber wing-tips and boot cowling, electric trim tab control, LED strobes, and semi-glass panel cockpit (electronic engine monitor and nav system). It was also fitted with a three-blade, 72” Warp Drive prop. Cook reported that “as soon as the throttle is full forward, you can lift the tail. At about the time you’re wondering if the pitch attitude is right, the S-7S is flying.” He did experience a tendency to over-pitch for the climb, because of the low cowling and high seating position, but says you get used to it easily enough. “Centerline tracking was very good,” he continues, saying only moderate rudder effort was required. When making large or rapid turns, “the airplane wants a fair bit of lead rudder to keep the ball in the center. It’s not an annoying trait as much as it is something you must learn to live with,” Cook says. For any pilot who learned in a half-century old trainer with the left turning tendency of a wound top, the necessity of aggressive rudder pressure isn’t a deal-breaker. Tim Dawson is a A&P as well as the CEO of Tech Medical Equipment Inc. based in Georgia. He worked on cars “forever,” and started as an aviation mechanic when he bought a Cessna 210. He’s worked on Key Dismukes’ Rans S-7S Courier, as well as others. His first tip is for new Rans owners to bite the bullet and get the bronze bushings to replace the stainless steel pins in the hinges, because he says, “Basically, you can’t wear the airplane out.” It’ll save you a lot of money in the long run, he says, and it’s safer. Most importantly, Tim requires his Rans owners to join Rotax-Owner.com and watch their videos before he’ll do maintenance on their plane. The videos are simple and easy to understand; Tim said that I, having never worked on a carburetor before in my life, could rebuild the Rotax carburetor just by watching those videos. Another free resource for pilots interested in caring for their Rotax engines is the official website, flyrotax.com. Between those two, Tim says, you’ll find the Rans S-7S to be extremely reliable and last forever. In addition to the vortex generators and Tundra Tires, Key has installed on his S-7S, kit builders rejoice in the opportunity to create their dream plane by modifying and adding all sorts of interesting enhancements. The most popular of which add storage space and carrying capacity, and larger fuel tanks. Another modern update many Rans owners are looking forward to is retrofitting their Couriers with the larger, lighter fuel tanks, which is possible for all Rans S7’s produced after 2000. Labor not included, you can get the new 26gal tanks installed for $800-900 dollars. If you’re not interested in performing surgery on your plane, you can get auxiliary fuel tanks (plastic for $240, aluminum Sidewinders for $745) which will offer an additional 10-15 gallons. If you feel the need for more horsepower, conversion kits are available that can boost your power without replacing your engine. The 1484 Zipper High Power, for example, can boost your engine from 100 to 114 HP for about $5,000, installation and all. The flap handle on the Rans S-7S is on the right side of the cockpit floor, essentially under the seat, say some pilots. A commenter on Rans Clan, a web forum for Rans builders and owners, said he has to unbuckle his shoulder harness just to adjust the flaps, which is unsafe as well as inconvenient. An easy and somewhat affordable mod to fix this is one you’ve probably heard of, EZ Flap, which is just a flap handle extension. It’ll run you about $500. Depending on how much time and money you want to sink into your Rans, you can buy a kit at all stages of unfinished on any aircraft selling/trading site, such as Barnstormers, or buy a new kit straight up from Rans. The price is variable depending on your preferences, but just the basic airframe will run you $27,000. 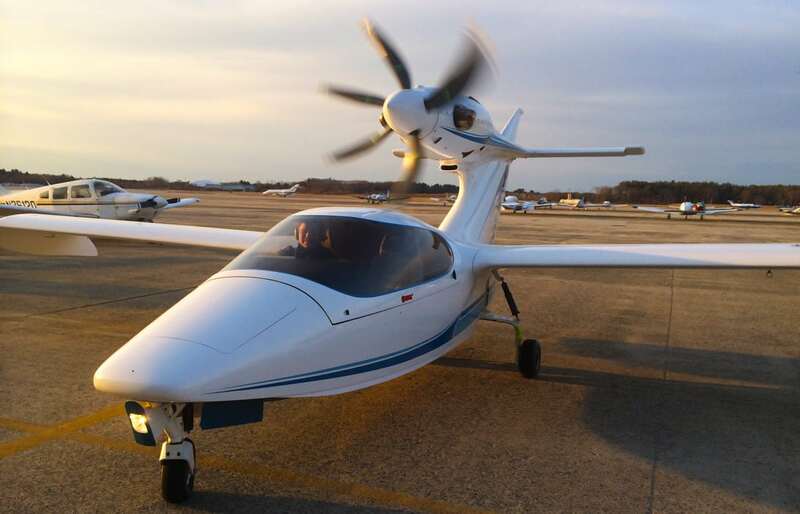 A finished 2006 Rans S7-S online is available for $57,000, a factory built for $56,000, a kit with one wing “mostly completed” for $27,500, or just the kit for $20,000. Considering you can run it on Mogas, the Rans S-7S is a pretty affordable airplane. 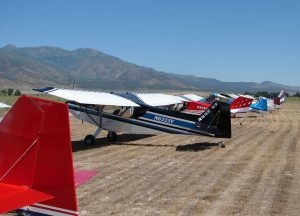 The cost of insurance for a homebuilt taildragger is not going to make your day, but it’s definitely not as bad as other quotes I’ve heard. Pilots on backcountrypilot.org were reporting annual costs of $1,300-$3,000, depending on hull coverage. This pretty affordable backcountry-capable airplane seems like a good starter plane for pilots with a love of the outdoors, or a fulfilling, but time-consuming project plane for kit-builders. In all my research on the Courier, I haven’t heard any pilots give it a negative review, other than the time-to-build estimation on Rans’ site being fairly optimistic. A perfectionist friend of our very own mechanic and aviator extraordinaire Jim Hoddenbach spent over two years working on his Rans. Compared to aircraft with similar missions, like the Piper PA-18 Super Cub and the Denney Kitfox, the Rans S-7S Courier is much cheaper but has a drastically lower useful load. It’s slower and less powerful, but with the proper kit, you can get the landing roll down to 325 feet (or lower! ), and the huge tires, (22-inch Tundra Tires come standard) make it easy to set this baby bush plane down wherever you want. This airplane, all things considered, seems to be exactly for what Key uses it for: a fun, enjoy the scenery, smell the roses flight that’s an experience all of its own. The Courier has a fuselage of 4130 steel , not half steel and aluminum. Flap lever is on left side, interia reel shoulder straps solve the reach issue. They cruise 115 mph at 5500 typically.